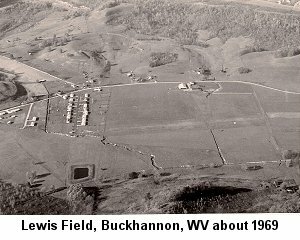 He walked through the office door at the airport on a hot July afternoon in 1969, looking like a farmer in his late fifties that had climbed down off his tractor and come directly to the airport. All of this turned out to be good detecting on my part, because that was exactly what he was and what he had been doing before he took a ride to see us. Orion as it turned out had something bothering him, and it had been eating at him for almost twenty five years. He had returned from the big war, gotten married, raised a family and become a successful farmer and business man, but this little piece of his past was always there and it still nibbled away at the little secret spot where a person lives, even after all the years. He confessed to me that afternoon, sitting in the big armchair in my office that he had washed out of the Army Air Corps flight training. Even after a generation, I could still see the regret and the shame in the faded brown eyes. Perhaps it was having his family raised or maybe it was attaining financial comfort, but he had decided to put to rest the memory that dogged him and do what he had failed to do years ago. He wanted, no I should say he planned, to learn to fly. Orion, I was to learn in the next few minutes, was imbued with the courage of his conviction, for he had purchased an airplane and had come to see if I would teach him to fly it. 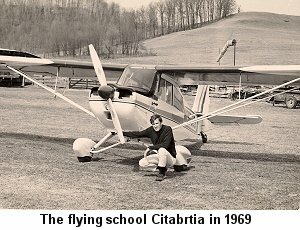 Without knowing even how to start it, he was the proud owner of a beautiful Piper PA-12 and he was building a hangar for it on his farm, located just to the west of the little strip where I operated the flying school. 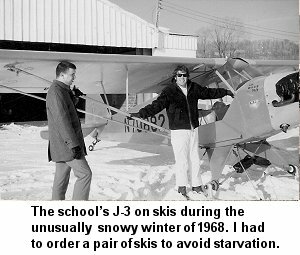 Of course I said I would be glad to do that, since teaching people to fly was currently my chosen method of earning a living, and we made arrangements for me to pick the airplane up at Clarksburg where the previous owner had it hangared and move it to our airport. And so it was that Orion became a part of my life for the next year, and as surely as eight o'clock on Sunday morning came, so did Orion. He was faithful and on time, and each Sunday as he began preflighting the Super Cruiser I began steeling me for what was sure to be another trying hour. For the Army Air Corps as it turned out, didn't wash Orion out because he didn't shine his shoes. I had never encountered a student with so little natural aptitude for flying. Or to put it better, so much talent for not learning to fly. Things that the average student grasped within minutes took Orion hours, grueling, mind numbing hours or repetition. Making a coordinated turn without losing altitude for instance, took the number of hours that ordinarily I would see a student soloed. We would work and work on a particular maneuver and I would see progress during his lesson, but when he returned the next week it would be as if we had never before covered that part of flying. He seemed much effected by little things, such as whether his cushion had been correctly positioned, or the trim had been changed. I began to dread Sunday morning. The one bright spot that I came to see after a while, was when the light bulb went off in Orion's head and he finally grasped something he had it in a strangle hold and he had it forever. After ten hours or so of dual instruction, with Orion's abilities about where the average student's would have been during the second hour, we had 'The Talk'. "Orion" I said, "I realize how important learning to fly is to you and we both know that it isn't coming easily for you. I want you to know it's going to take a long, long time, but I think you can do it and if you'll keep at it I'll stick with you". The hours piled up and Sunday after Sunday passed and summer turned to fall and then the leaves were gone. Cabin heat was the order of the day when we finally were ready to begin takeoffs and landings and I couldn't believe that it was taking me so long to teach someone to fly an airplane. I kept taking comfort in the fact that although the learning was agonizing, Orion really did eventually learn and once he learned something he held it to his breast and celebrated it. It was his forever. Spring came early that year and as the flowers of April sprinkled the grass of our runway I stood among them and watched Orion and the Super Cruiser take wing without me for the first time. I had spent many hours after he had mastered the technique of taking the ship off the ground, flying a proper pattern and setting it down in the right place with the proper attitude, just to make sure that he wouldn't suddenly regress. At this point, let me confess out loud, I had flown with Orion for over forty hours. Never had I encountered a student, who combined such a desire to learn with such a resistance to doing so; but he was flying now and I watched him glide in for a perfect landing. He taxied back to me with a big smile on his face and I sent him back to do two more circuits before going to the hangar and losing his shirttail. Orion never got a Private License because it would have added nothing to what he had. He owned an airplane and had a place to keep it and he had the ability to do what he had set out to do so many years ago. He had shown the world and even more importantly he had shown himself that he had what it took to fly an airplane and to wear the title of pilot. He kept that airplane and flew it locally from his strip for many years and it wasn't hard to sense the joy that it brought him. So far as I knew he never went cross country in it, but he never tired of being aloft, looking down at the land that he had walked over as a youth. I loved it when he'd come to our field for fuel and I could see the pride on his weathered face and know that I had something to do with making his dream come true. Orion's patterns and landings had an almost boring sameness, with the angle of his approach and the touchdown spot on the runway exactly like the last one and always exactly right. I was standing outside the hangar one day when Orion came in and one of the airport regulars was watching his usual perfect approach and touchdown. He remarked that in all times he'd seen Orion land he'd never seen him make a bad landing. I thought for a second and replied, "I guess I never taught him how."